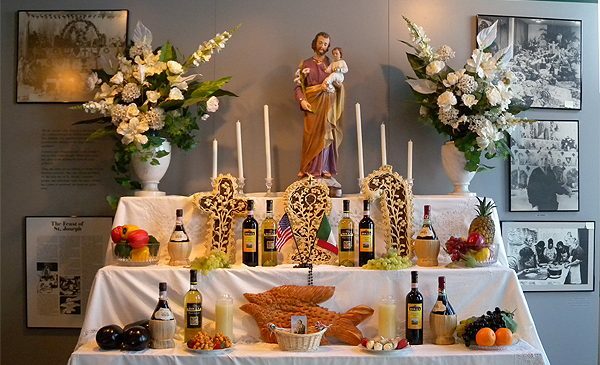 Each year around March 19, Italians in New Orleans celebrate St. Joseph’s Feast Day by decorating church and residential altars with a bounty of food. This custom was brought to the city by Sicilian immigrants and dates back to the Middle Ages, when Sicilian Catholics decorated altars in thanks to St. Joseph, the patron saint of workers, for protecting them from famine. New Orleans had one of the largest concentrations of Sicilian immigrants in the United States, who brought with them not only their delicious cuisine, but also their unique traditions, including their beautiful St. Joseph’s altars.